Getaways or mini-vacations. Alone or in company. By car or by train Looking for relaxation or emotions. 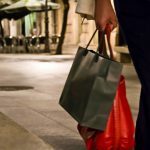 No matter how you travel, this Easter Ourense has a plan for you. Creativity, theatre, music … This spring cultural proposals will bloom in Ourense. On March 14th the Cathedral will organize visits to discover its bell tower, which will soon be included into the temple’s tourist tours. 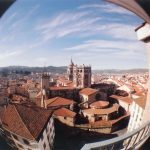 The Pórtico del Paraíso Music Festival is the highlight of Ourense’s very musical month of march. 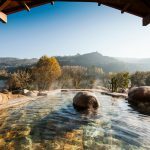 Discover a wellness experience that combines the benefits of yoga with the properties of Ourense’s thermal waters. Ourense is adorned with light and colour to receive Christmas, without a doubt one of our favorite holidays. Discover all the surprises that await you here, enjoy a different Christmas to the heat of the hot springs. A walk through 10 emblematic spaces of the city, all declared of Cultural Interest, to understand what is the cultural heritage and how it has helped to define our history and collective identity. Put on a disguise and prepare your mask. Go out and enjoy. Just relax. Have fun, Become someone else. The Entroido has arrived to Ourense and the city is full of colour and music. Everything is ready for you. From January 31st to February 4th Ourense turns to gastronomy. 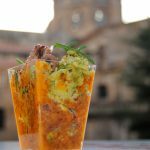 XANTAR returns, an event that brings the best of the stoves of Spain, Portugal and Latin America to the city. 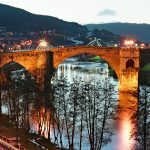 This Christmas, go and discover Ourense. The city has been filled with lights, colour and great enthusiasm to celebrate these special dates, with many proposals to enjoy as a family. Spring has arrived to the city of As Burgas and gives us a Holy Week of sun and good weather. 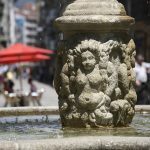 Here you have some tips to enjoy these days in Ourense, including the processions and the beautiful statues. Do not miss on Sunday 17th the peculiar Ceremony of the Affront, something unique in Spain.